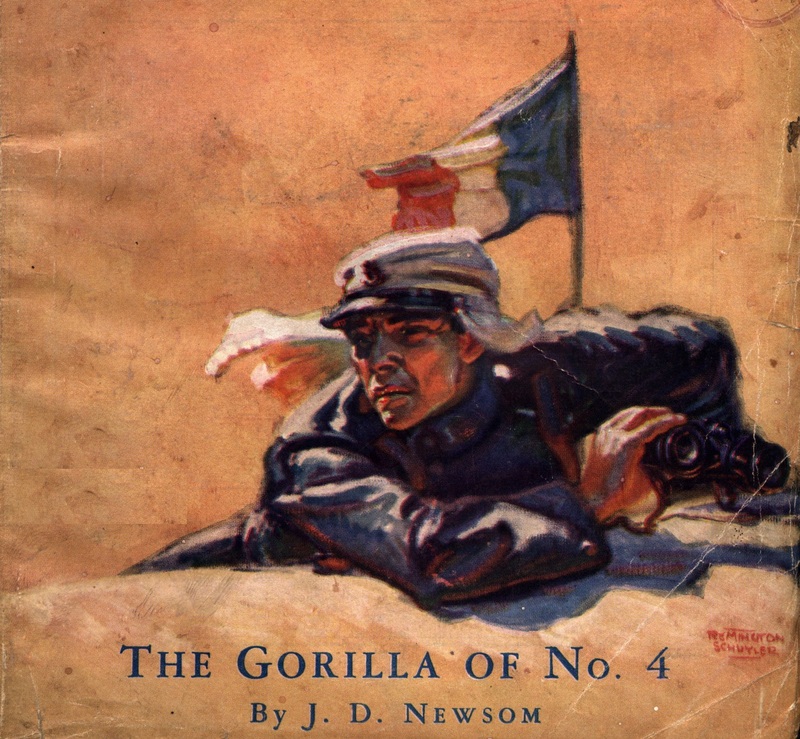 This month’s pulp fiction story is from J. D. Newsom and appeared in the 01 January 1928 issue of Adventure. It is a tale of dandy officers (fancy pants) who find themselves in the midst of a tribal rebellion on the edge of the Sahara. Cut off from reinforcements the French garrison at el Kelima seems to be losing ground bit by but to the tribesmen of the Ouled-Farik while 4th Company of the 1st Foreign Legion Regiment is believed to have mutinied under the inept command of Lt. Kergonec. It is only after the arrival of Legion Captain Grellon, the “gorilla”, that things are sorted out properly. This story is a good example of Newsom’s approach to Foreign Legion fiction. He liked to have foppish senior officers or bureaucrats pitted against the rough and tumble men of the Legion. Legionnaires seem to fall by the dozens in his stories only for a handful to hang in there long enough to save the day when the right leader arrives. It is no coincidence that his collection of Legion stories published in book form (a Dell Paperback) is titled Wiped Out. His stories are a bit formulaic but still exciting to read (and you will come to really hate Colonel Liancourt and Lieutenant Kergonec in this one). I’m sorry for being AWOL. It’s been a month since I posted here due to a combination of writer’s block, spring cleaning, work, a sick cat and several other distractions that have kept me from posting. Hopefully back on track.